The School is equipped with TeachNext classrooms. 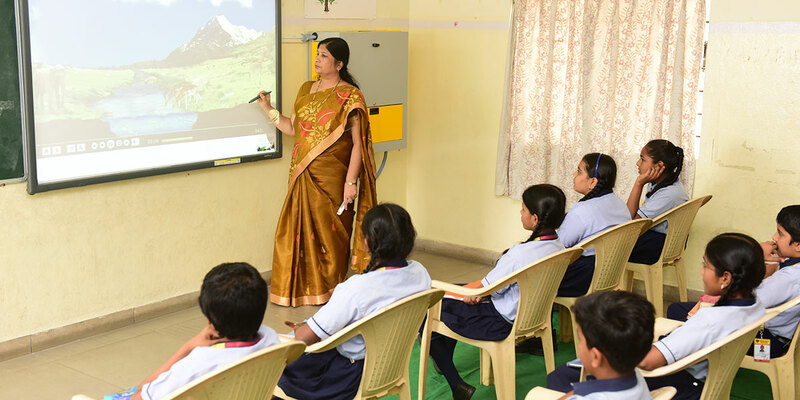 Audio Visual Rooms: Couple of rooms in the school have been equipped with projectors and screens so that digital learning can happen in the classes itself apart from digital content from TeachNext. We also have, our own database of different videos and presentations supporting the content taught by teachers through the process of Class room interactions. Teaching- Learning process at Unicent, takes in to its fold, Digital learning, along with varied other methodologies ranging from brainstorming, to hands on activities, surveys, discussions, field trips etc, providing the child the best possible scope to have meaningful learning.